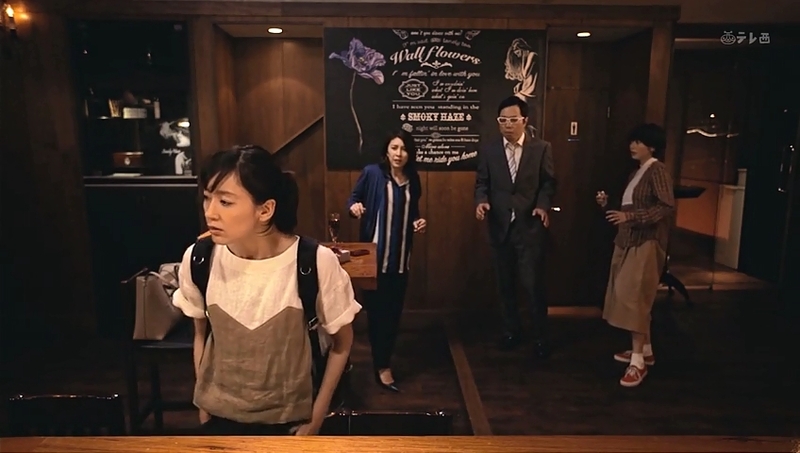 Kamoshirenai Joyuutachi follows the alternate lives of these 3 actresses. In a perfect universe, they’d be actual actresses with their real names and in the beginning, they mentioned some of their famous dramas to break the ice. Then, we get a glimpse of how their lives would be if they failed auditions and ended up as normal workers or not-so-famous actresses. I like the concept for this SP. If you’ve been following any of the actresses’ career, I think you should give this a watch. As for me, I’m more familiar with Mizukawa Asami and have been watching most of her stuffs since Nodame Cantabile. Back in those days, she was merely serving as supporting characters but in the past few years, she’s been getting a few lead roles which I think is good for her. Although she may not be a genius or versatile actress like Mitsushima Hikari and to some extent, Ueno Juri, she’s proven her worth to be lead actress. So having seen her getting to where she is now, I’m glad of her achievements so far. Maki Yoko has been serving leads for more years, she’s more experienced and obviously Takeuchi Yuko as well (not very familiar with her work but I love Strawberry Night). The stories are sort of overlapping with each other and at some points, they get entwined. In this alternate universe, Maki Yoko failed her auditions and worked part time jobs. At her ramen shop, she had a younger colleague who claimed to be her fan (Maki has small roles in dramas) but also asked whether she ever met Yuko Takeuchi (who is an accomplished actress). She then asked for Maki Yoko’s signature on a tissue paper and later stuffed it in her pocket behind, to Maki’s shock. The more shocking moment came after few months she left the ramen job and found out that colleague had become a model. At home, Maki went through the drama she appeared in but realized her face was never even shown. She then opened up a diary and started to illustrate a manga-like diary of her daily accounts. She met a customer at a bar where she works who thinks she should publish the diary as manga. Then we cut to Mizukawa Asami’s part. She’s also an actress but only minor roles. She had another friend who’s more famous. I thought the background narration where she kept complaining about her friend was very hilarious, especially the faster speaking part when she got more and more irritated. She became good friends with Maki Yoko who shared the same sentiments with her about the harsh reality of being extras. Takeuchi Yuko’s part came next. Her alternate life was working in a publisher company. She kept wandering off in her thoughts, what if she had become an actress instead. So there were scenes of her dreams where she was working as an actress. Later on, she met Maki Yoko because her boss asked her to consider the manga. And that was when everything came into a full circle, where everyone met each other. The shocker came when it was revealed that Yuko’s boyfriend was a two-timer with Asami. Am I the only one who gets that Birdman vibe during this scene because the background drumming sounds familiar? 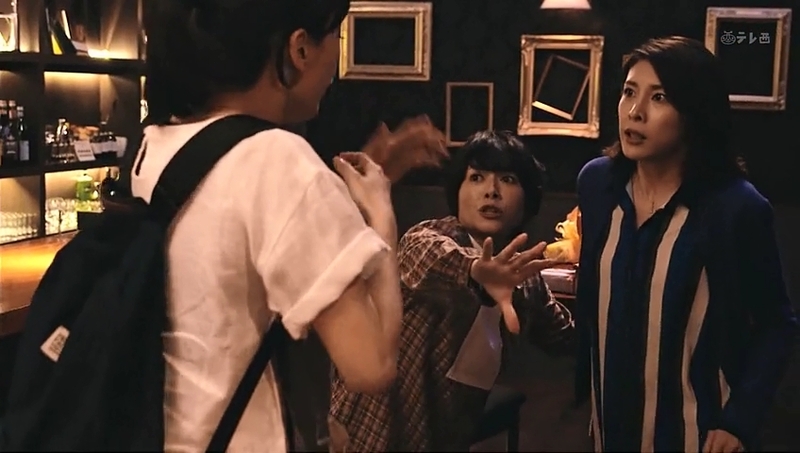 The hilarious part was when Maki Yoko found out she got a movie deal and both Yuko and Asami became the Sad Group. 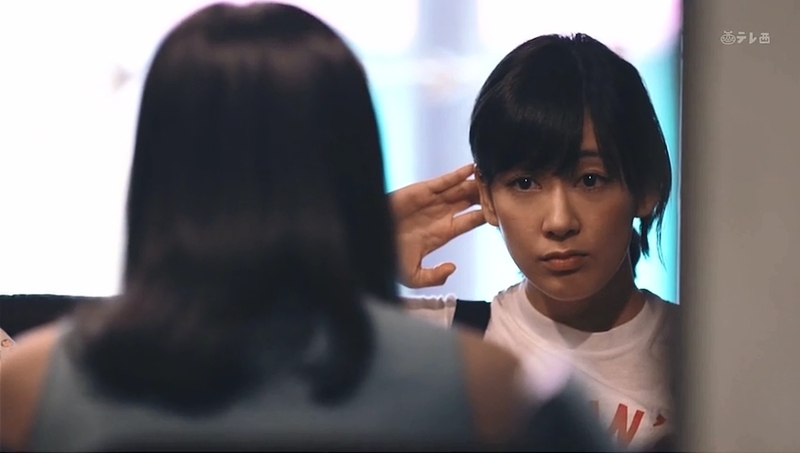 Then suddenly Yuko found out that she was going to be promoted at her company. So Asami was then left to sulk alone in a corner. Basically things began to look up for each of them. My favorite part is still Asami’s especially when she went on irritation mode and complaining nonstop in the background as she tried to smile in front of her friend. Her character was also the last to receive the good news so it made her look so pitiful initially. Well, it’s an alright SP, slightly short (only an hour), nevertheless, it gave us an insight of the harsh reality of being extras in the entertainment world. I guess a lot of actors/actresses who began from being minors to lead roles can relate. Not an easy journey. It’s a bit disappointing at times when you realize a lot of talented ones out there but so underrated that the not-so-talented ones are taking up lead roles’ spots as easy as drinking water when the underdogs had to work their way up from bottom. I have several people in my mind but I won’t list them here. « Is this Fumino Kimura’s breakthrough year?